There's a lot of setting in this world. Making your own setting for a campaign is great fun, but sometimes you want to use one that already exists. Perhaps you’re short on worldbuilding time, or there’s one setting you’ve always wanted to run a game in, or the game you have planned is so similar to an existing setting that you may as well use it. Whatever the reason, using an established setting for your campaign has major advantages. However, it also has a number of pitfalls that can cause you serious trouble. If you want your game to run smoothly, you’ll have to consider those pitfalls and act accordingly. Use these tips to deal with five of the most common. I’m here to steal your thunder. Your players are a group of Rebel soldiers and novice Jedi ready to take on the Empire. Things are going great, with space battles and a mountain of dispatched stormtroopers, until Luke Skywalker appears on the scene. Not only do the players feel like they can’t possibly measure up to the man who faced Darth Vader, but they also look at you funny every time you pull out your Mark Hamill impression. When running a campaign in an established setting, it’s tempting to bring in your favorite characters as NPCs. Unfortunately, unless you are actually a canon character’s actor, this probably won’t go well. No matter how good you normally are at playing NPCs, something will always seem off about your portrayal. This is most pronounced for characters who are famous from movies or TV, but it happens with prose work too. Even without the Game of Thrones TV show, fantasy fans have a strong image of Eddard Stark in their minds, and a GM will be hard pressed to deliver upon each PC’s expectation. Even if you somehow pull off the performance or if your players just don’t care, adding canon characters to your game is still a bad idea. Most of the time, these characters play big roles in their story, and it will be difficult to keep them from overshadowing your PCs. A player who’s just created a snarky smuggler will resent being overshadowed when Han Solo makes an appearance. Whenever possible, set your story somewhere that minimizes the appearance of canon characters. This could be a remote corner of a sprawling universe, or some time in the distant past. That way you won’t be tempted to bring in a canon character you’ll later regret. If there’s no way to avoid a canon character, use them very sparingly. An aged mentor or young child works well, something that makes it clear they can’t solve the PCs’ problems for them. I don’t know if there’s room for your PCs here. Your players command the USS Plotship, exploring the final frontier and discovering all sorts of new life and new civilizations. But things go amiss when your players hear about the giant space battles of the Dominion War going on just a system away. Suddenly they’re not interested in your exploration plot, not when there’s an exciting war from the TV show to be won! Like canon characters, canon events can be major problems. For one thing, they’re full of canon characters, and we’ve already talked about the problems that causes. But even if you strip out all the high profile NPCs, it’s still best to avoid the plots that players may have already watched or read. For one thing, all the suspense will be gone, because your players will already know what happens. Even if you decide that the outcome isn’t fixed, it won’t feel like there are any surprises to be had. Another problem with events that come from film or prose is that they aren’t designed with RPGs in mind. Storytellers in those mediums don’t have to deal with random dice rolls, so they can construct plotlines with no wiggle room, where even a single failure means the entire plot unravels. This even happens in RPG books. 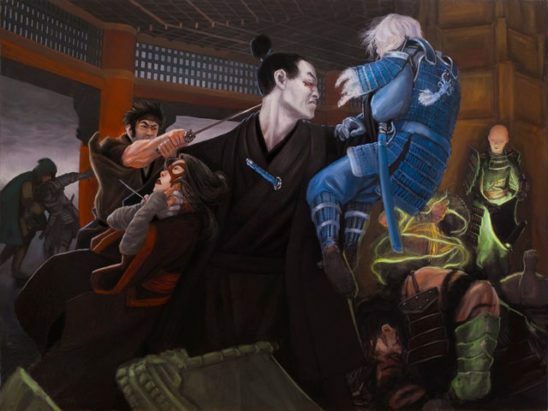 Consider the Second Day of Thunder, a major event in the Legend of the Five Rings canon. In this scenario, a champion from each clan unites in the imperial city to defeat the dark god. Sounds good at first: All you need to do is substitute your PCs for those champions, and you’ll be good. This is a problem if your party has multiple characters from the same clan, but even discounting that, the scenario is very challenging to run. The dark god’s stats and the stats of his minions are so high that anything but the most powerful PCs will have a very difficult time winning. The game’s writers could count on their characters getting the critical hit in just when they needed to, but as a GM, you can’t count on that. Avoiding canon events is much the same as avoiding canon characters. If you set your game in an unexplored part of the setting or in a different time period, you shouldn’t have a problem. Alternatively, you can pick a point in the setting’s story and make it clear to your players that, from this point forward, things will be different than the official canon. Metalbending? How hard could it be? Your adventuring party is having a great time romping through Middle-earth, fighting uruk hai, and unearthing lost artifacts, when suddenly the elven archer busts out a flintlock pistol and kills a dragon with hot lead. It seems you forgot to check the equipment rules for the system you’re using, and they contain stats for all manner of firearms. Oops! When you choose a system for your established setting, you must check to make sure the rules match the setting in question. This is a necessary step, even if the system is officially licensed for the setting, because sometimes designers make mistakes. First, check character options, because those are likely to end up in PC hands and can be hard to get rid of once there. 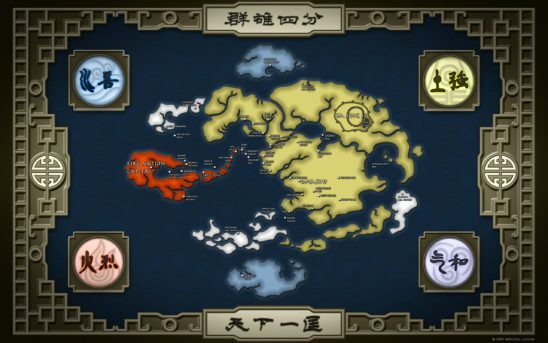 For example, let’s say you’re running an Avatar: The Last Airbender game using Legend of the Elements. In Legend of the Elements, Metalbending* is a basic ability that any earthbender can learn without special effort. 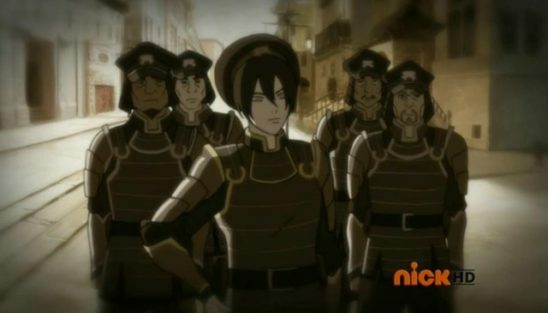 In Last Airbender, Metalbending is an elite talent that Toph had to invent, and only with great difficulty. With the rules as written, your players can learn Metalbending out of the blue. Sometimes, a system’s entire cosmology is wrong. 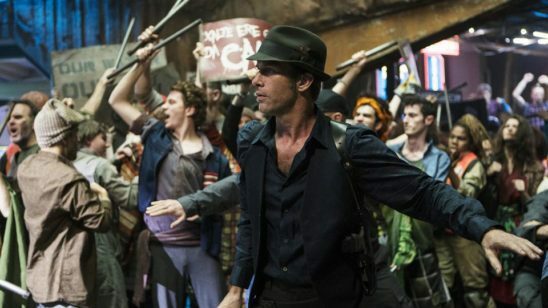 At first, Mage: The Ascension seems like the perfect system for running a Dresden Files game. They’re both about sorcerers in a modern setting who live in a secret world alongside vampires and werewolves. But in Mage, magic is based on consensus reality, and any spells that violate the consensus are subject to a nasty backlash called paradox. In Dresden Files, wizards can use whatever spells they like and the only backlash is fatigue. Finding a rule that doesn’t fit your setting isn’t necessarily a deal breaker. You might be able to house rule a solution, or you might just decide that, in this setting, Metalbending is a common skill. The important part is that you know about it in advance so that you can spend your time at the table figuring out what new terrors to unleash rather than getting tripped up by the rules. Wait who is mad at whom? You’re a big fan of the Expanse, so you set your campaign in the warrens of Ceres station. In the first session, your players encounter a bizarrely tall woman in an old space suit shouting about the oppression by those who “live down a well” and entreating everyone to “remember the Cant.” Your players look at you with raised eyebrows and blank stares. Established settings usually have a lot of material, and it’s easy to drop your players into the thick of it without proper preparation. Of course, this can happen with a homegrown setting, too, but there’s less temptation because you’re often discovering the setting alongside your players. Established settings usually have a large number of moving parts, many of which won’t make sense without context. This increases the risk of giving your players too much exposition, which will earn you nothing but glazed looks. The solution is to start in some small corner of the setting, where the players only have to learn one or two strange things at a time. Often, you can borrow a page from your setting’s original story. The Expanse, for example, starts aboard the space freighter Canterbury. 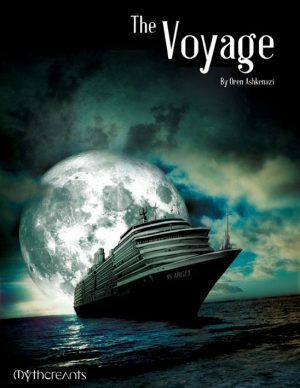 The audience gets a chapter to learn that this is a setting with fairly realistic space travel before they have to absorb the political strife between the Belt and the Inner Planets. In a roleplaying game, you’ll want to spend a little more time on the introduction than a prose or film story would, because it’s harder to guarantee that your players learn the right pieces of foreshadowing. Sticking with the Expanse, a good strategy would be to spend the first two or three sessions on low-scale adventures aboard an inter-asteroid freighter. The books introduce the main plot in the first chapter, but you’ll want to take your time. Let the players get a feeling for the setting by dealing with a few space pirates and corrupt cargo inspectors. Then they’ll be ready for a political drama with Earth and Mars. Of course, you can skip this step if everyone at your table is already familiar with the setting in question, but if even one player isn’t, err on the side of caution. Your Avatar game is off to a flying start. One of your players is the Avatar, and the others are a motley collection of friends and allies. The plot is a race against time so the Avatar can learn all four elements of bending in order to stop a terrible invasion from the Earth Kingdom. But there’s a problem. Even though your NPCs are well acted and your fight scenes are top notch, your players don’t feel inspired. They’ve seen this story play out on the TV show, and it feels like they’re just treading old ground. While it’s often advantageous for your players to be knowledgeable about the setting you’re using, it has a downside: your campaign will always be compared to the original story. No matter how cool your criminal freighter crew is, it won’t measure up to Malcom Reynolds and company. The solution is to play against whatever expectations your setting creates. If you’re using the Firefly Verse, try making your PCs the crew of an Alliance patrol ship. They’ve been tasked with bringing the worst criminal elements in the sector under control, and given very few resources to do it. To make matters worse, a group of Independent insurgents keeps trying to blow them up. 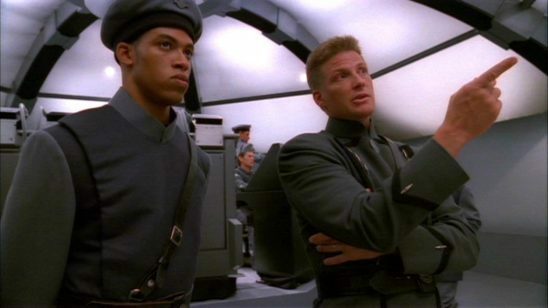 With this premise, you get the resource scarcity aesthetic Firefly is known for, but your players are on the opposite side of the conflict from the TV show’s characters. Playing against your setting’s expectations will increase enjoyment for everyone. For one thing, your players won’t feel like they can predict what’s going to happen next. Just as important, it gives your players permission to push their characters outside the box they might otherwise be trapped in by the setting’s story. If you’re using a really heavily trodden setting, you can get even more creative. 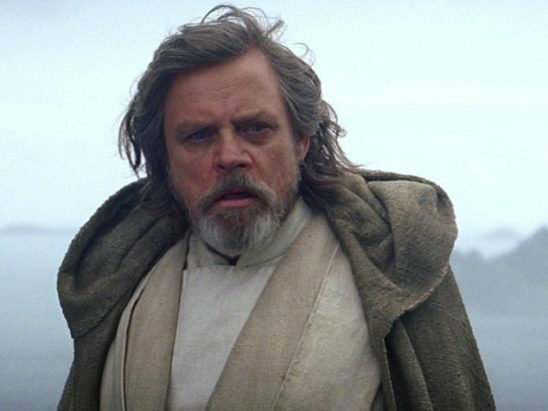 Between the films, video games, cartoon shows, and endless piles of novels, your players probably think they’ve seen every variation of a Star Wars story there is. But have they ever experienced the story as resistance fighters against an authoritarian Jedi theocracy? Roleplaying games are the perfect place to experiment with such extreme setting changes, so don’t be afraid to try new things. While running your campaign in an established setting will save you work on worldbuilding, it’s not an excuse to slack off. You’ll have your work cut out for you to make sure the setting helps your campaign instead of hindering it. 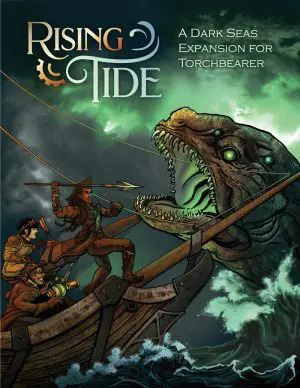 But if you’re ready to put in the effort, you can turn an established setting into an engine of powerful storytelling to dazzle your players and make your sessions the envy of all. Or metalshaping, as it’s called, because no one wants to get sued. This has become my new default for epic campaigns, as I tend to rarely like reading RPG books as a means to learn about settings. If I am not making up my own, this is generally what I do. Though I don’t totally agree about all of this advice depending on what you want to run. In particular I completely embrace #5 but completely ignore #1 and #2. My main current direction is largely about really digging into and playing with the major events of a particular setting. My recently finished campaign was with Star Wars, in which the PCs were Vader’s twin daughters and the adoptive brother of one of them. My current campaign is doing the same thing with Mass Effect, in which OC characters find the Prothean beacon and take on Saren before going on to fight the Reapers, replacing the crew of the Normandy. There are two key things that I think are requirements for this to work. The first is that you need to embrace Schrodinger’s canon, the idea that existing events both are and aren’t canon until you interact with them. While this is useful to any setting, allowing a mix of canon or new characters depending on how creative everyone is feeling, it is critical in Star Wars due to the canon changes. When you have one player attached to Legends ideas or characters and another attached to Clone Wars and Rebels, it is nice to be able to incorporate both alongside OCs. The second and probably more important element is that this essentially needs to be a fix fic of sorts, in which you are trying for a better outcome that the original in one way or another. If everyone more or less liked the originals all around, I don’t think it would work. In the case of Star Wars, this idea was inspired by the sequel trilogy, in which we largely felt that the original trilogy’s heroes failed when the First Order was created and Ben Solo fell to the Dark Side. So out campaign involved ending Star Wars with a true finale in which we dealt with the Sith once and for all after defeating Palpatine, rounding up whatever other Dark Side followers are still around in the aftermath. There might still be a sequel campaign to this, but it won’t involve proper Sith and a newly broken galaxy. In the case of Mass Effect, this was inspired by the strong dislike of Mass Effect 3 and the direction of Andromeda as well as the narrative problem of Shepard as space Jesus. In short we wanted to allow the representatives of each race to more directly address their own problems as well as handling the Reapers better, especially in terms of their motivation and allowing the galaxy to properly prepare for their arrival.